Violet oil scent 2fl oz / 59ml. Bottle, Original Rainbow Fragrance. 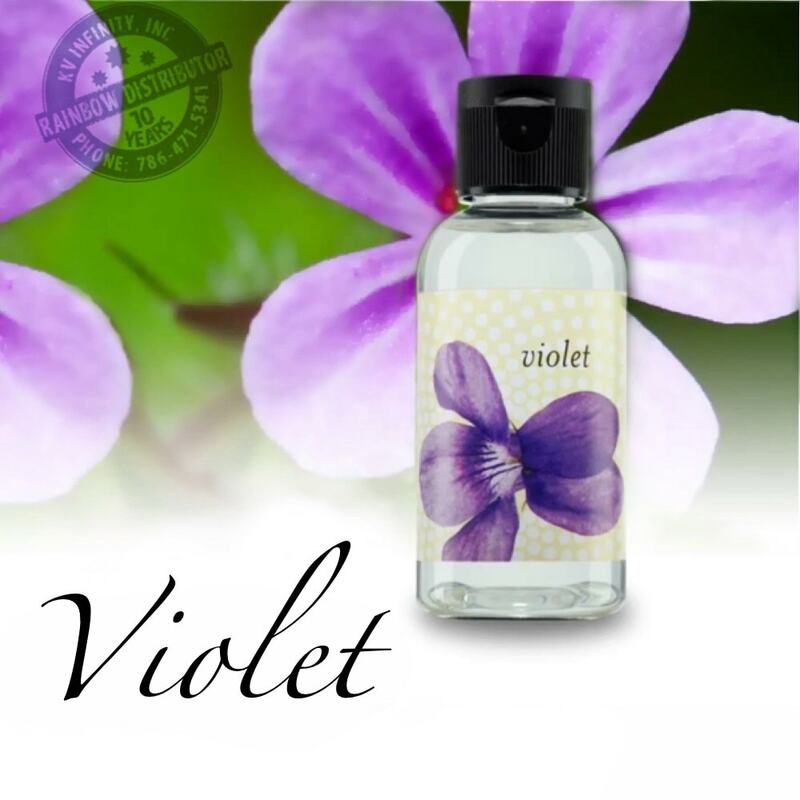 The Rainbow Fragrance Oil Violet have a nice flower smell, Rexair fragrance made in USA. The Rainbow Fragrance Oil Violet have a nice flower smell, this is a original Rexair fragrance made in USA. Out of the ten differents Rainbow scents, violet is the stronger one, just a couple drops in the Rainbow or RainMate water last more than 8 hours. This product is sold per unit, but you can buy in packs of 4 violet fragrances each. Fragrance Oil Violet, when to use it? 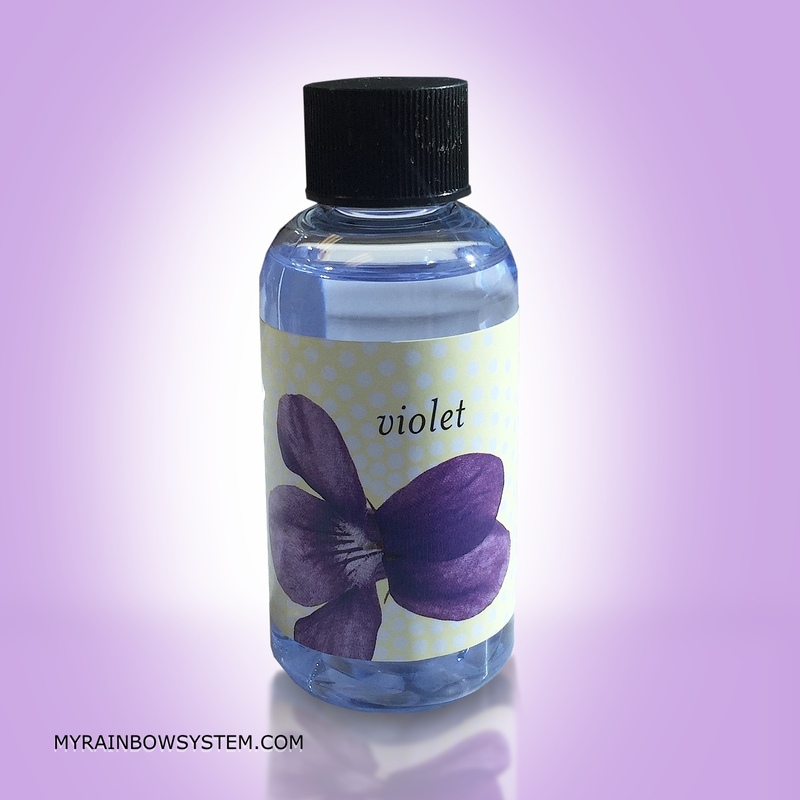 The nice flower smell of violet make it perfect for spring season or for your spring cleaning with your Rainbow. If you like nature and flowers scent, this is the perfect choice for you. One bottle can last more than a 10 days of daily use. It is NOT recommended for people who suffer allergies or asthma. One of my favorite fragrances. Not too heavy. Order received quickly and in good condition.